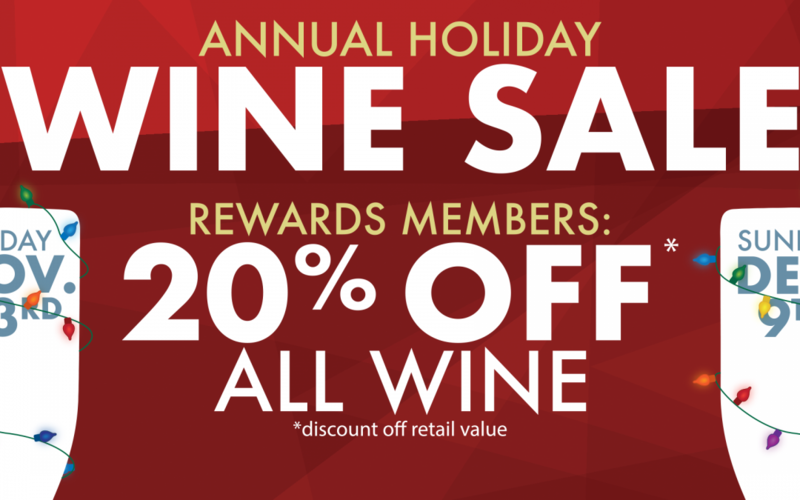 It’s your favorite time of the year, our Annual Holiday Wine Sale has begun! Rewards Member, enjoy 20% OFF* ALL WINE now through December 9, 2018! With over 2,000 different wines, you’ll find the perfect wines for gifts, dinners, entertaining, and any other wine needs you may have! Not a Rewards Member? Stop in at any Top Ten Location to sign up for FREE!